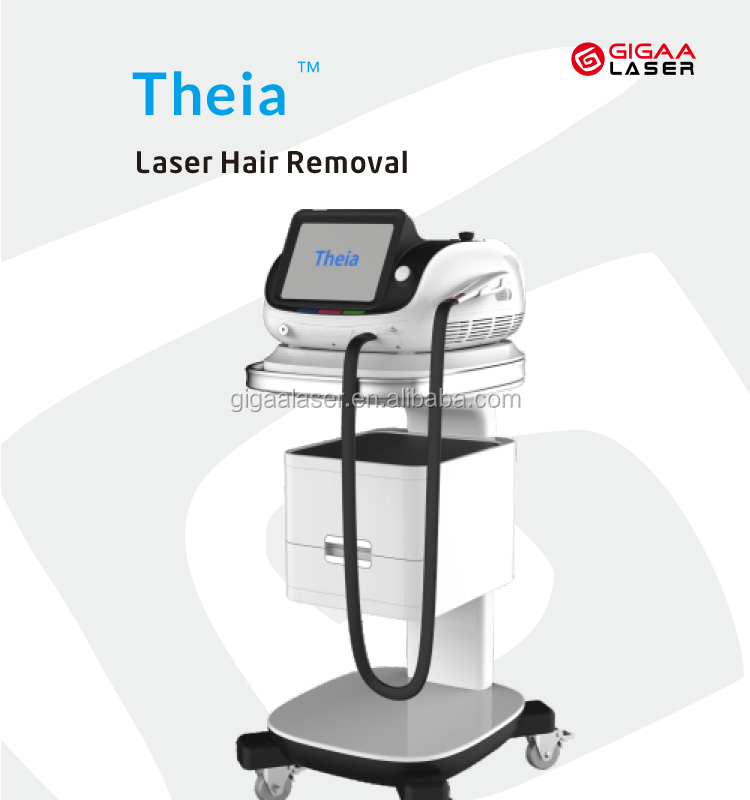 LASER HAIR REMOVAL is the process of removing unwanted hair by means of exposure to pulses of laser light that destroy the hair follicle. 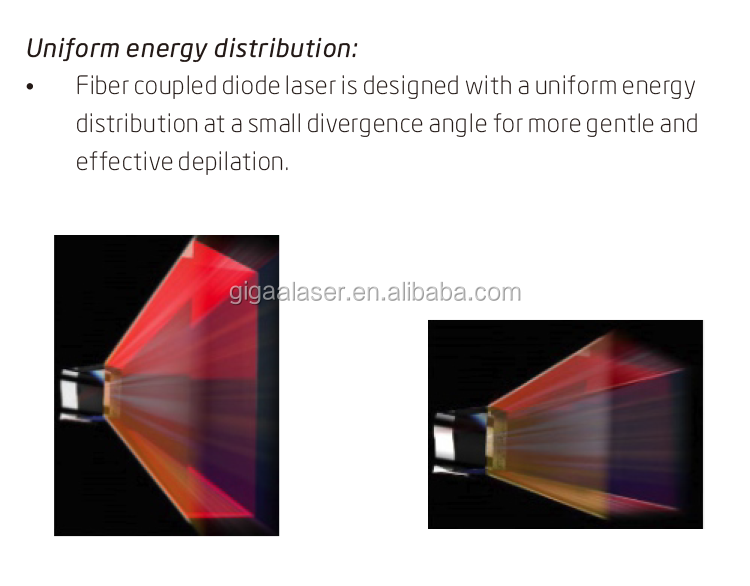 The Diode laser system deliver a longer wavelength than the Ruby (694 nm wavelength) and the Alexandrite (755 nm wavelength) lasers, but a shorter wavelength than the Nd: Yag (1064 nm wavelength) laser. This longer wavelength enables the light to penetrate deeper and is theoretically safer than shorter wavelength lasers because it can better avoid the melanin pigment in the skin's epidermis. 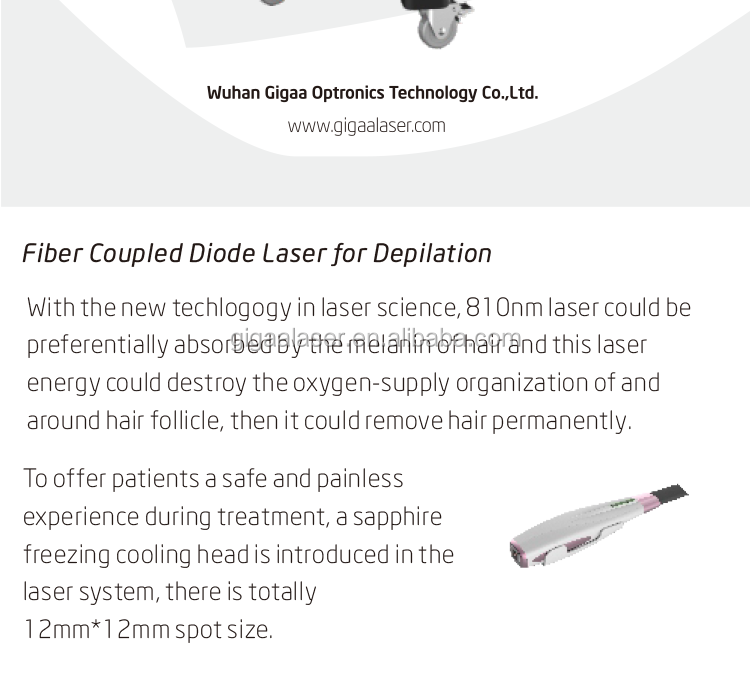 The Diode laser's longer wavelength of light thereby penetrates into the hair follicle without causing as much epidermal injury as the Ruby or the Alexandrite. 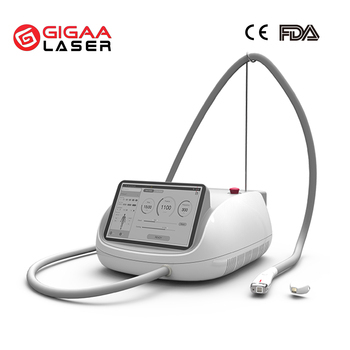 This fact allows the Diode laser to be used on darker skin colors than the Ruby or Alexandrite. The HERA works by heating the hair follicle gradually to a temperature that damanages the hair follicle and prevents re-growth, yet does not ijure the surrounding skin. 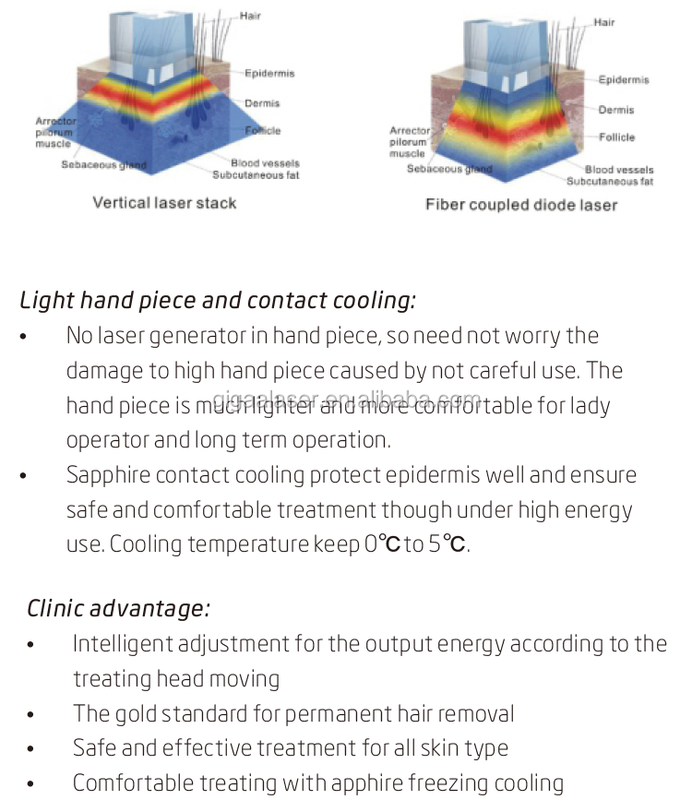 To improve the cooling effect, the cooling head of the HERA applies high power semiconductor cooling technology (Thermo Electric Cooler), which makes it quickly reach and keep constant 4C even with high-energy fluency treatment. 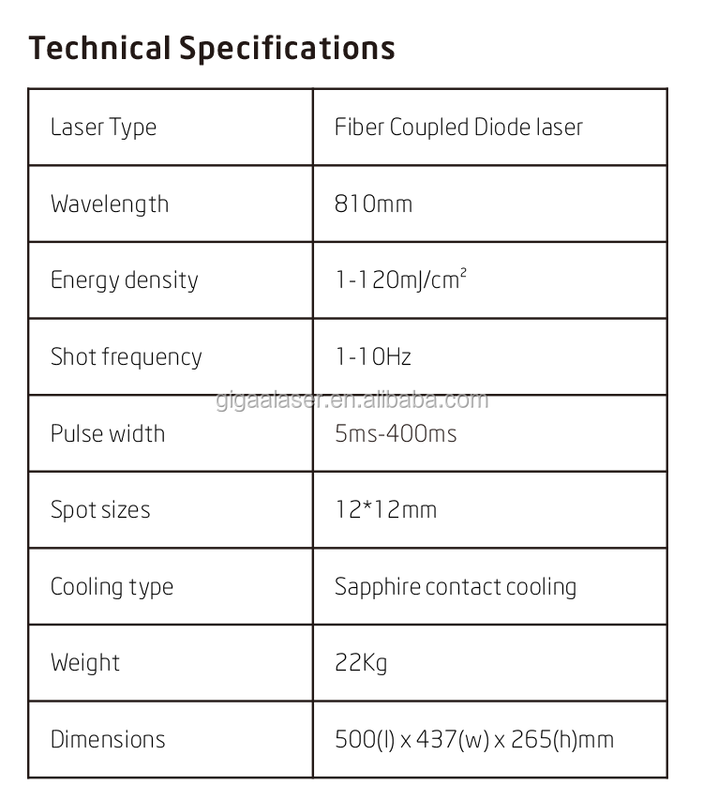 With large spot size (12*12mm), the laser power is monitored constantly through the contact handpiece,thus ensuring the effective and reliable treatment. 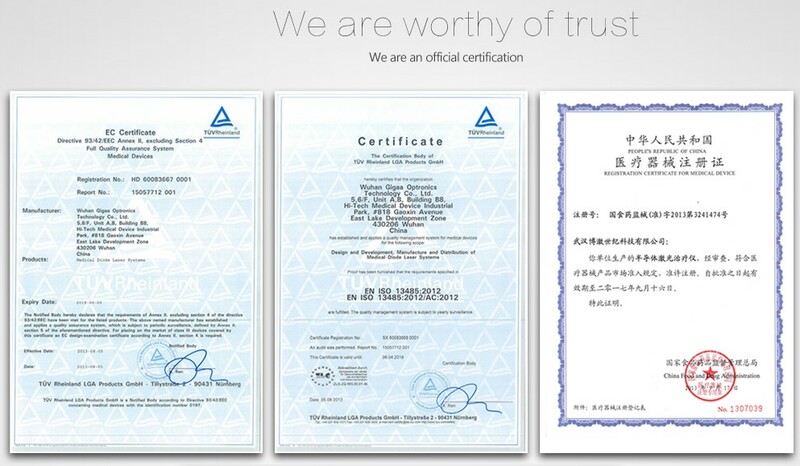 We use the high quality alumimum alloy box which is not only strong but also moistureproof, anti-knock,heatproof, it’s the best package for Medical & Beauty equipments! 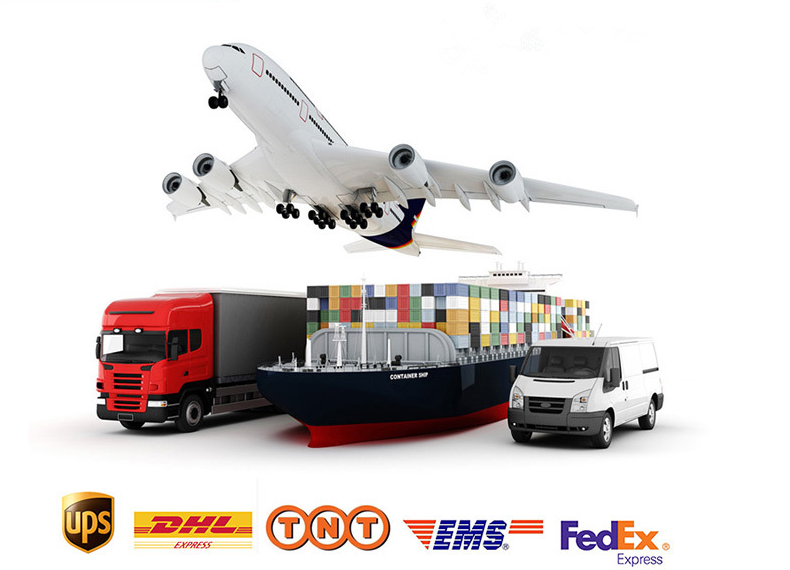 We can offer the door to door service by air or by sea according to your request, DHL, UPS, TNT, FEDEX and Air cargo is our usual shipping methord. 1. What is the Payment Terms? 2. How do you delivery the machine? 3. What about the delivery? Re: About 10 working days. 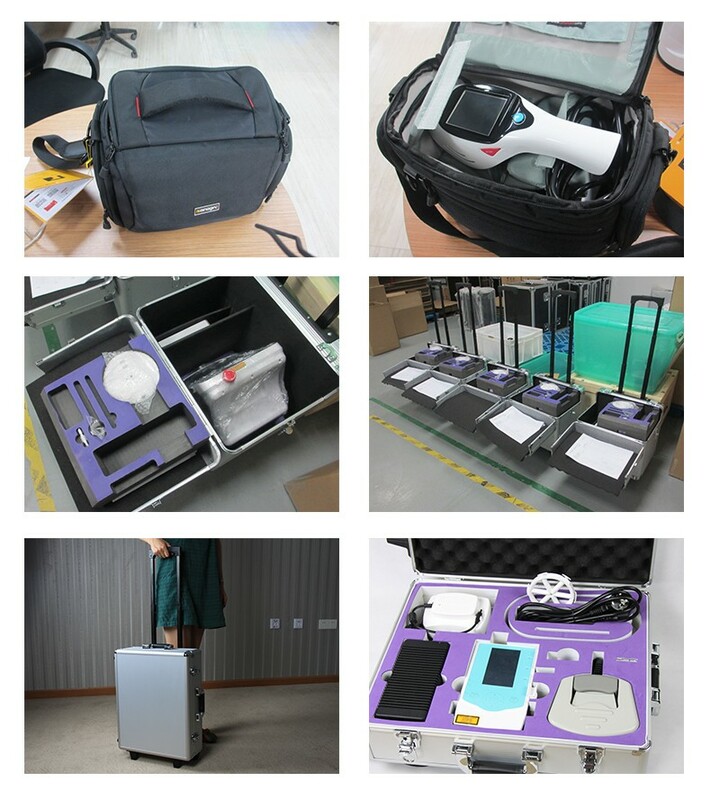 Re: Strong and beautiful aluminum alloy case/carton case/wooden case. 5. Do you offer clinical training? Re: Yes .Welcome to our company for free and professional training. Any questions, pls feel free to contact us whenever you need, we will answer in details as soon as possible! 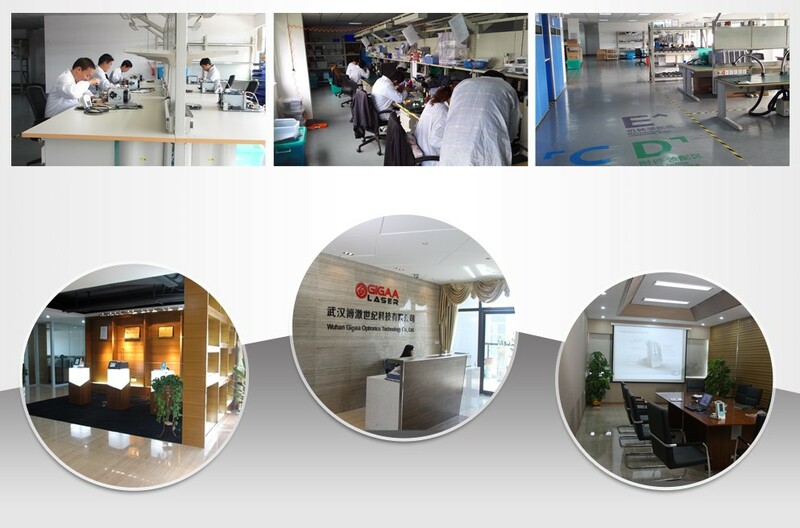 Wuhan Gigaa Optronics Technology Co., Ltd.